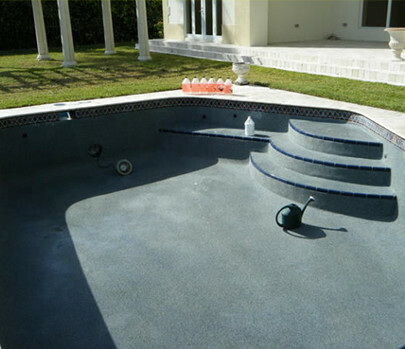 Services - Fort Lauderdale Pool Service - Fall in Love with your pool again! - Fort Lauderdale Pool Service – Fall in Love with your pool again! Finally! No more carrying corrosive, dangerous chemicals that only deteriorate your car. 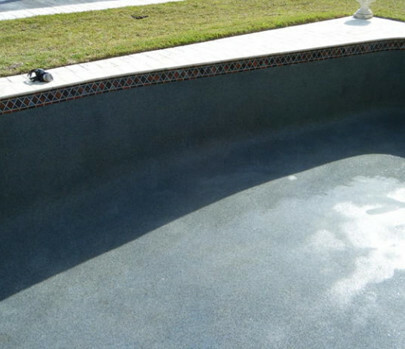 Say goodbye to an unbalanced pool and hello to TOTAL relaxation and peace of mind. 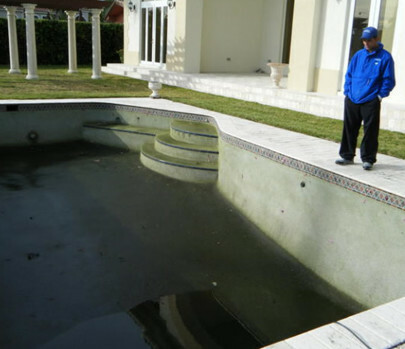 Just choose a plan, and we’ll start servicing your pool right away. Never have your commercial pool closed by the Health Department again! Aqua Buddy has a vast experience not only with residential pools, but also, with the largest hotel, condominium and resort pools. Aqua Buddy provides a COMPLETE CARE PROGRAM for commercial pools that provides the same and even more detailed care so that you: the owner, property manager, association member or facility administrator never has to worry about anything again. With the COMPLETE CARE PROGRAM for commercial pools, not only will the water always be crisp, clean and clear, but it will also be 100% safe and will guarantee the satisfaction and return of your customers. Stabilizer not included in price! Our service technicians, mechanics and specialists know exactly what to do when a repair is needed. With a wide range of expertise, Aqua Buddy specialists are able to diagnose, and solve problems quickly and effectively. 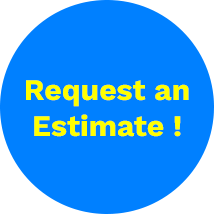 Request an estimate for a repair and we will provide you with a relevant and fair estimate. For existing customers, there is an EMERGENCY 24-HOUR line available for repair requests. Evaporation is dependent on a variety of environmental and pool related conditions, (wind, water temp, dew point, barometric pressure, and other to a lesser extent). Because of this the evaporation rate can vary greatly from day to day and even pool to pool. 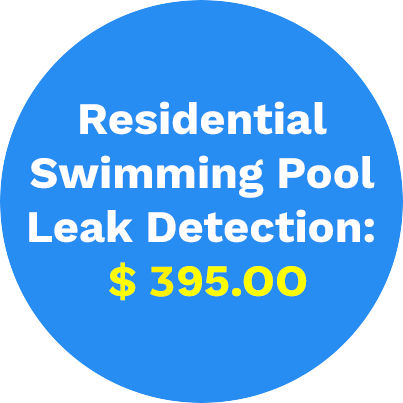 Before becoming too concerned about a leak you can do a simple test to determine if water loss in your swimming pool is due to a leak or is just evaporation. This simple test is called the bucket test. 4 • Mark the water level inside the bucket. the bucket, on the pool wall, or skimmer face plate. operated when a leak was first suspected. inside water level, there is probably a leak. In compliance with the new Virginia Graeme Baker Pool and Spa Safety Act which was put in place to enhance the safety of swimming pools, spas and hot tubs. This Act sets federal mandate that suction and entrapment devices be changed to become in compliance with the new Act. This includes new pool drain covers in addition to many other changes and requirements that must be met under penalty of the law. Hayward is one of those companies that take your safety seriously. They have complied and are putting out their new safety products for residential and commercial pool safety. What does the Federal Law Require Of Pool Main Drains? All main drains covers must meet with the ASME A112.19.8-2007. All covers that are on submerged suction outlets including and not limited to equalizer lines must also meet the ASME A112.19.8-2007. The Federal Law requires that the maximum velocity of the across drain may exceed 1.5 fps. All main drains must include a sump meeting dimensional and flow characteristics. All sumps need to provide a minimum distance between the bottom of the cover and the nearest location of the piping that comes into the sump. This must be equal to 1.5 times the diameter of the pipe or it must meet the minimum dimensions established by the covers manufacturer. The cover of the main drains must be secured to the sump. On all Single Main Drains, these requirements must be met. All water facilities must have a safety Vacuum Release System in place, a Suction Limiting Vent System, a Gravity Drainage System, an Unblockable Drain, an Automatic shutoff without a vacuum release. These main drains must have a drain disablement without the main drain. If facilities have a manual shut off switch and an audible alarm, the Federal Law Systems decree that this is not acceptable. On Multiple Main Drains, all drains must be spaced less than 3 feet apart from the required additional entrapment prevention measurements. All multiple main drains will need a design analysis to assure the hydraulic balance. All of these requirements must be met by December 19, 2008. There may be additional state laws that you must follow so contact your local health jurisdiction to see if any extra steps must be taken. Pools and spas that have not had chemical treatment in a long time will turn green because of algae and rapidly growing and spreading bacteria. 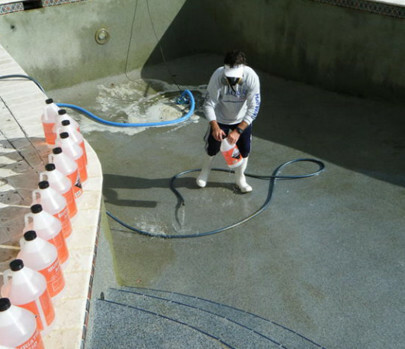 Our chemical formulas will eradicate bacteria and other potentially harmful microorganisms from your swimming pool, protecting your swimmers against illnesses and infections. 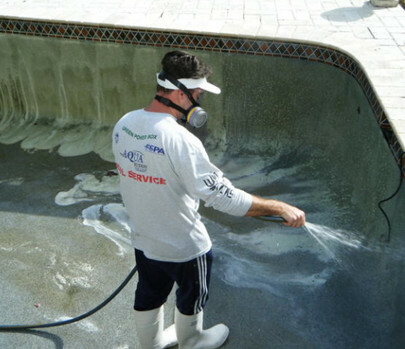 In the Swim’s pool shock and super chlorinating chemicals will also take your pool water from cloudy to clear by eliminating algae and a wide variety of other contaminants. 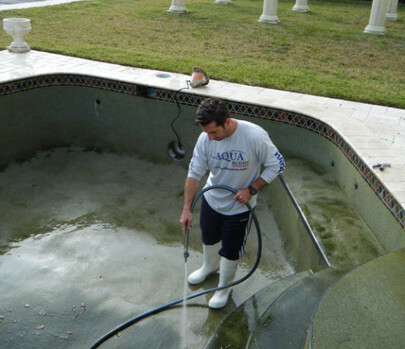 This process can take up to two weeks depending on the conditions of the pool.